The British artist Barbara Hepworth (1903-1975), a leading figure of the international modern art movement in the 1930s and one of the most important sculptors of the twentieth century, was born today 114 years ago. 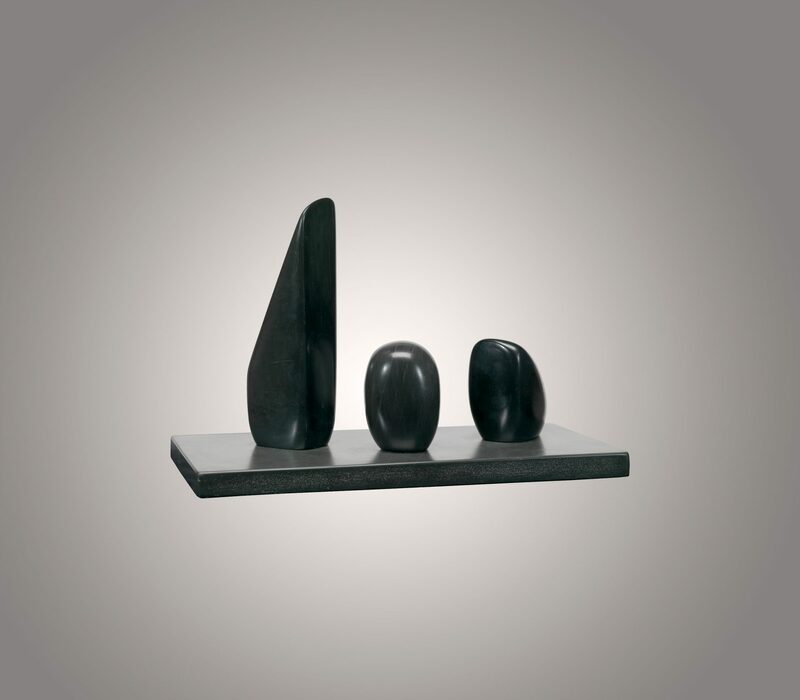 Three Forms (October 3rd), 1966 – as seen here – belongs to a group of exquisite slate carvings made by Hepworth in the 1960/70s, characterised by their highly-polished finish and depth of colour.The title of this unique work carried special significance for the artist, as it refers to the birth of her triplets with the artist Ben Nicholson in 1934. This beautiful and intensely personal work, relates to Three Forms (Carving in Grey Alabaster), 1935 at The Barbara Hepworth Museum & Sculpture Garden in St Ives, and Three Forms, 1935 in Serravezza marble at Tate Britain, both executed after the triplet’s birth. See more of the artist’s work at the Barbara Hepworth Museum & Sculpture Garden and The Hepworth Wakefield.